Although the game collection is on sale now for $12.49, when it is no longer on sale it will be $24.99. However, the price of the individual games would be $23.95 outside of the bundle. Price slipup? 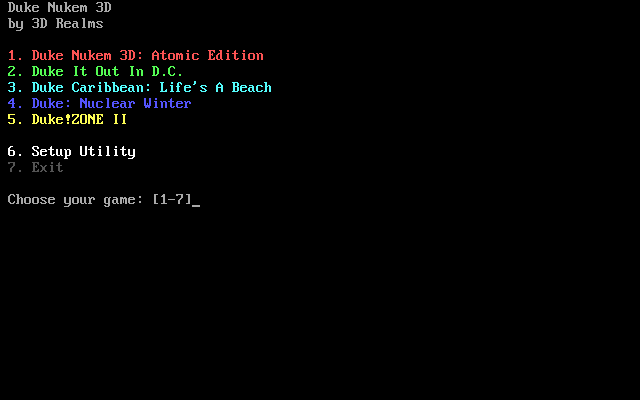 I already own the Megaton Collection. And a retail copy of the Kill-A-Ton... I don't see any reason to buy this on Steam. The only thing it offers I sort of want, is DN: Manhattan Project. I own it retail, but, I prefer things on Steam these days. To hell with installing off disc. Yeah, I know. I just have never gotten around to getting it... maybe during a Steam sale it'll pop in my head. Last edited by The Duke Returns; 05-19-2015 at 02:48 AM. I wonder if Duke Xtreme will be added. Last edited by The Duke Returns; 05-19-2015 at 08:15 PM. Is it just me or does the image on this site show the expansions but they don't seem to appear in the bundle (which I own all of the games anyway)? I'm kinda confused about this. Yep, I did, on Steam. Do they only work on the EDuke 32 version? 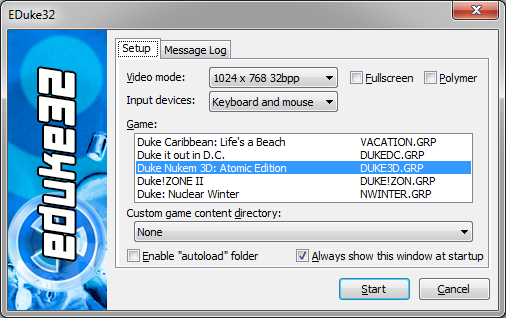 They're included when you run the Duke Nukem 3D entry. Last edited by The Duke Returns; 05-20-2015 at 12:35 AM.